The Direct Appeal is the CPO’s primary fundraiser and sponsors student educational enrichment programs, events and staff requests. Approximately 50% of the CPO’s annual funds are generated by the Direct Appeal. At the beginning of each school year, parents receive the annual direct appeal letter from the CPO board. Contribution may be made by check and returned in the envelope provided or made online through the Curtis Store using a credit card. Direct Appeal contributions are 100% tax deductible and are generally eligible for Corporate Matching. If you have questions on the Direct Appeal, please contact us at treasurer@curtiscpo.org. Many companies will match direct appeal donations. Your company may have an online portal on its employee website for their matching gift programs which makes submission easy. If you can’t find an online portal, call your company’s HR department. They will be able to confirm if your company matches gifts from qualified 501( c) 3 non-profits like the CPO. If your company has an online portal, select Curtis Parent Organization, Inc. (CPO) from the list of qualified 501( c) 3 non-profits. If the CPO is not listed, there is usually a section for “add a new organization.” Your company may request the CPO “IRS determination letter,” which we are happy to provide. Enter the information your company requires about your donation. For most matching contributions, you cannot have received any goods or services in exchange for the donation. If you need a formal receipt on letterhead as opposed to the receipt the Webstore generates, please contact us at treasurer@curtiscpo.org and we can provide one for you. If you have questions on Corporate Matching, please contact us at treasurer@curtiscpo.org. The second key CPO fundraiser and event, Curtis Madness, is a combination silent auction and casual parent social held during the March Madness basketball season. 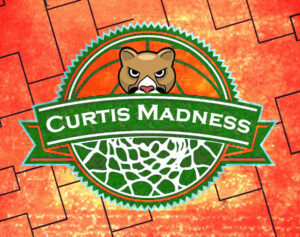 Curtis Madness generates approximately 40% of the CPO’s annual funds. Services, tickets to events, special experiences and other wonderful items which have been donated by generous local businesses, parents and the Curtis staff become available online for bidding in early March. Additional items are available for bidding at the parent social. The social provides a great casual opportunity to mingle with other Curtis parents and staff. Past socials have been held at Conrad’s Restaurant in Sudbury with many screens for viewing basketball and enjoying some light appetizers. 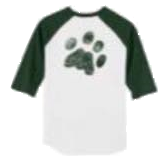 Sport the latest in cougar wear and school spirit with Curtis Gear! T shirts, shorts, sweatshirts, sweat pants, and more. Gear is offered for pre-purchase in the Fall and delivered prior to the holidays. Don’t be without one! The key to contacting other students, parents, staff and administration. Directories are generated based on information provided in the school system and provided in both paper format and electronically through AtoZ directory. Every time you shop on amazon via smile.amazon.com, a portion of your purchase benefits the charity of your choice. Last year the CPO received over $2,500 from purchased made via the Amazon Smile program. 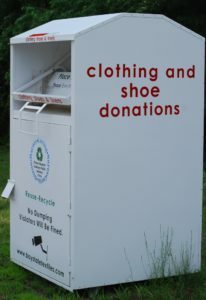 We also earn money by filling the textile bin located in the parking lot of Curtis. A check is sent to the CPO based upon the weight of the monthly donations. They take footwear, clothing, linens and STUFFED ANIMALS! When Spring cleaning hits, bring those bags of textiles to the bin to earn money for the CPO. Please remember to bag your donations. We welcome your boxtops. Our last submission was over $1000. Please submit your boxtops in quantities of 50 in plastic ziplock bags. Please ensure there are no expired coupons in your submission. There is a collection box in the front office. We collect throughout the year for semi annual submissions in October and January.